IPedge is modular, so it grows with your business. It’s never been easier to add new users, and update your system, and its 100% NBN ready. Like adding apps to your cell phone? IPedge applications makes it easy to add great new features to your business phones, too. IPedge delivers everything you need for big-business communications – without the big-business price tag. Stuck in a meeting? Seamlessly connect your smartphone or laptop to your office messages – so you won’t miss that important email. IPedge gives you even more reasons to love your iPhone or Android – like taking business calls anywhere, via your smart phone. Live on the road? IPedge transforms your laptop into the perfect tool for mobile voicemail, phone calls, video calls and email. With ATS and Toshiba, your business telephone system is transformed. It doesn’t matter if you run a hotel, or a factory. If you own one office, or ten. Now, you’re a communications pro. You take calls with a skill that turns big business green with envy. You get the most from every enquiry, every call-back, and every customer. There’s a reason you choose to re-sell Toshiba’s phone systems. You love Toshiba quality – and the satisfied customers that come with it. You enjoy ATS’ comprehensive support – and the business advantages that brings. You know you’re not selling phones – you’re delivering the future of Australian business. I have been a Toshiba dealer for 11 years. I found the phone systems to be both reliable and innovative. 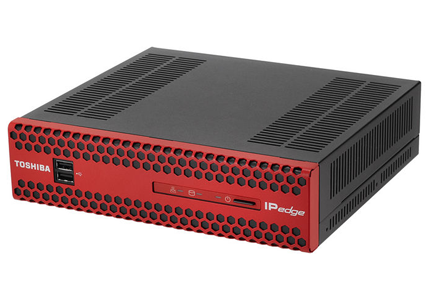 IPedge is no exception. 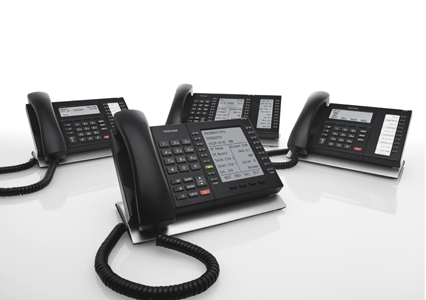 Combined with truly professional and personalised service from Applied Telephone Systems, this is a great product. When we were looking to replace our aging phone systems in both our Melbourne and Sydney offices Applied Telephone Systems provided a solution that was both technically cutting edge and affordable. Their technical support at installation and when rarely needed, ongoing, has been exemplary. The cost savings from the system saw us have an 18 month payback and we have never looked back. We are so happy to be a client of ATS & Applied VoIP. They are exceptional at what they do! The team have always been polite, helpful and prompt in our dealings and their tireless hours of work to get our call centre up and running are greatly appreciated! I cannot see us changing to any other company! Thank you ATS & Applied VoIP! We purchased our telephone system from Tele-Intercom Systems Pty Ltd (Applied Telephones) which has streamlined our communication system within the office and at our remote locations as some of our team members work from home. This has reduced the cost of our internal calls to nil. Part of the service also includes telephone calls provided by Applied Voip Pty Ltd which has resulted in a significant decrease in our telephone costs. Extremely professional and friendly staff who always ensure that any issues are resolved promptly. They are never too busy to take a quick call regarding any setup or configuration queries. I wouldn’t hesitate to recommend Atsco to any organisation, whether they have a simple or a very complex voice communication system. Everyone at ATS are every easy to work with, especially when you are working remotely. They are professional in all aspects and if they cannot assist you immediately they will follow up and assist as soon as they can. Nothing is ever too much trouble. They are friendly and always obliging.